Secure Collateral Management already announced the skip-tracing and collateral recovery provider was moving into a new headquarters. 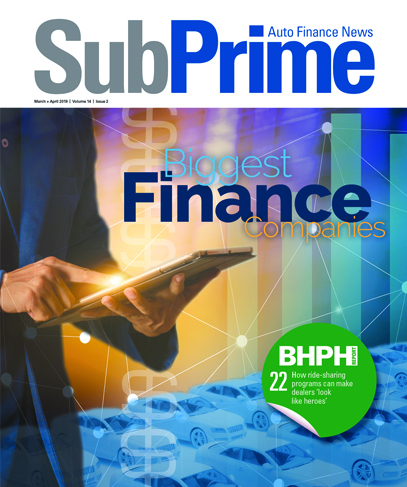 And then Monday, Secure Collateral Management and MBSi Corp. — a member of the Automotive Intelligence Council and provider of repossession assignment software and vendor compliance solutions — announced they are expanding their partnership. Secure Collateral Management will begin using MBSi’s compliance management system, Contract Comply, to manage collateral recovery vendor vetting, which will be performed by RISC. Secure Collateral Management recovery vendors will be vetted and monitored by RISC to maintain current copies of business licenses, insurance certificates, articles of incorporation, employee documents and state repossession licenses. All vendor information will be securely stored and tracked in MBSi’s compliance management system, Contract Comply. DeHart is also among the executive set to appear during Used Car Week 2018, which begins on Nov. 12 in Scottsdale, Ariz. Complete details can be found at www.usedcarweek.biz.